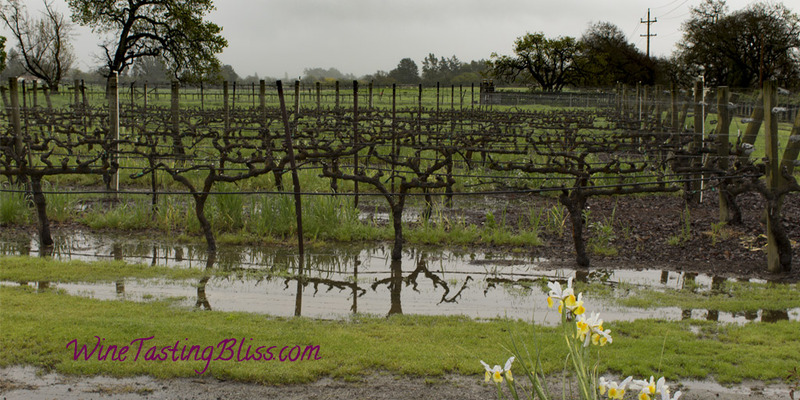 It was pouring rain in Santa Rosa! 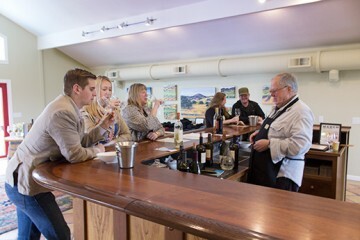 That may have kept the amateur wine tasters away, but our tasting tour was in full swing. Our next stop? 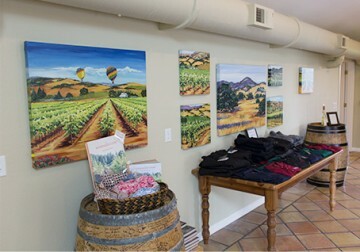 The picturesque tasting room for the Hanna Winery. Our day of wine tasting started at Carol Shelton Wines, and then the Hook & Ladder Winery. Despite the inclement weather, things were going very well! 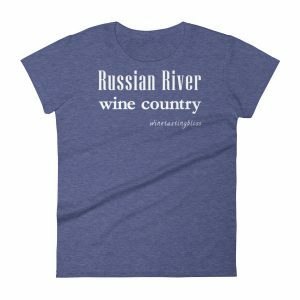 Great wine, fun people, and intriguing tasting rooms. 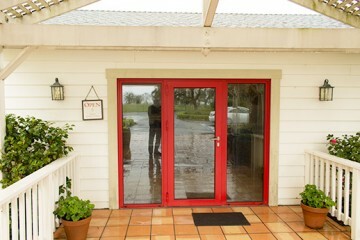 As we arrived at the Hanna Winery, we saw that the day’s trend of unique tasting rooms full of character was continuing. We looked around the tasting room and joined another pair of tasters at the bar. Our wine guide, Patrick, welcomed us and set us up with wine glasses and a tasting menu. We started with their 2015 Sauvignon Blanc. Patrick told us that this wine is now carried by CostCo, which has driven sales through the roof. We enjoyed the bright fruit, with enough acid to pair with food, and a clean finish that set us up for the rest of the tasting menu. We jumped ahead to their 2014 Bismark Zinfandel. Judi called this, “Thanksgiving in a glass,” with cranberry and oak notes dancing across the tongue, without too much pepper. Just right for turkey and stuffing! While we were sipping and dreaming of our Thanksgiving table full of loved ones, Patrick told us a bit about the winery. A San Francisco surgeon named Elias Hanna wanted to honor his family’s heritage of farming, so he purchased a vineyard in the Russian River Valley. 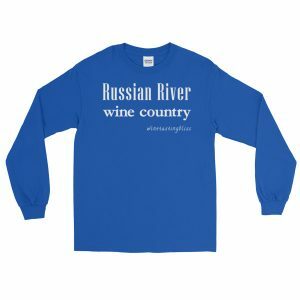 Over time, his holdings extended to a total of four vineyards, making up 600 acres. 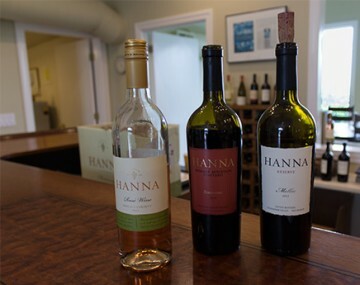 Between his daughter, Christine, as winery president and Jeff Hinchliffe, their winemaker for 20 years, the Hanna Winery has developed quite a reputation for hand-crafted wines. Patrick then poured their Two Ranch Red, a blend of 66% Cabernet Sauvignon, 8% Merlot, 3% Zinfandel, 11% Malbec, 9% Pinot Noir, 1% Petite Verdot, 0.5% Sauvignon Blanc, and a tiny splash of mystery grape. This was a remarkably smooth table wine, with enough punch to pair with BBQ but gentle enough to sip by itself. Our final taste was their 2013 Reserve Malbec. Floral and fruity, with a fun zip at the end, this wine, while very drinkable now, will be even more amazing in a few years. With that, we purchased some wine and thanked Patrick for his hospitality. We still had wine club pickups on our tour list! Have you visited Hanna Winery? Click to give'em a tweet of support!